If the worst thing that might happen to the Montreal Canadiens this year is a slight statistical correction in regard to the play of the undisputed best goalie in the world, they’ve got the Atlantic Division in the bag for the second straight season. 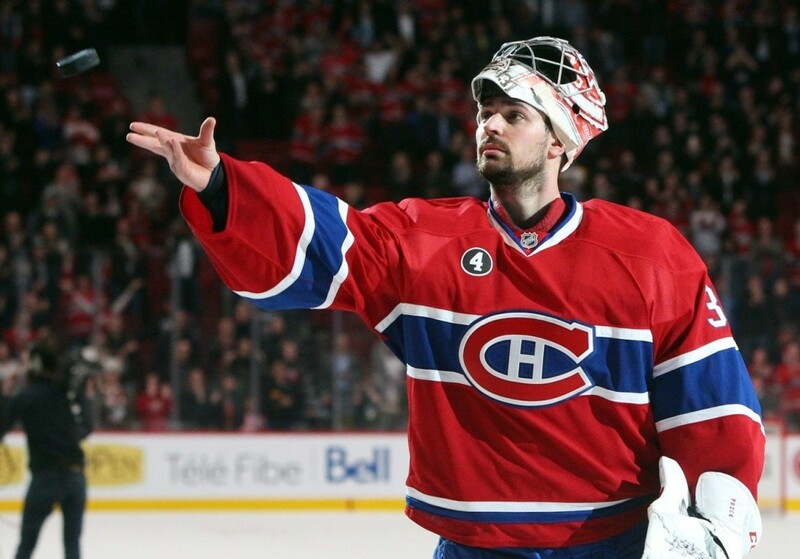 That’s essentially what it comes down to: whether a 28-year-old Carey Price will decline after two consecutive spectacular seasons, the latter of which justifiably won him the Vezina and Hart Memorial trophies as the league’s best goalie and player. However, when exactly was the last time an MVP in his prime put together a bad season the year after winning? The answer to that question is maybe not as far back as you might think. Maybe 2011-12 when Anaheim Ducks forward Corey Perry scored just 60 points after notching 98 in 2010-11? It’s probably a fitting comparison in this specific case, because the Ducks as a whole were pretty bad that following season, failing to make the playoffs, finishing sixth-last in the league. Montreal finished third-last that season, in case you’re curious. In fact, both teams have followed eerily similar paths from that season up to this point, continually placing among the league’s elite teams since then. However, there’s one main reason why 2015-16 for the Canadiens won’t be a repeat of 2011-12 for the Ducks. Namely, does anyone seriously expect a team that finished second in the standings to completely miss the playoffs the next season (Anaheim had the ninth-best record in 2010-11)? Especially when they play in the Atlantic Division? Back in 2011-12, the Ducks had to contend with Pacific Division teams like the eventual Stanley Cup-champion Los Angeles Kings and San Jose Sharks. There were no free passes (unless you consider the basement-dwelling Ducks themselves as easy competition). Even the laughing-stock Phoenix Coyotes placed first! Meanwhile, in the present, the Canadiens will regularly play teams like the rebuilding Buffalo Sabres, who are likely still a few years away from playoff contention, and the Toronto Maple Leafs, who are likely still a few years away from figuring out what the hell they’re doing. No, the Boston Bruins may not be a free pass, especially considering the heated rivalry between the two teams. However, the general consensus is that they’ve taken a further step back after just missing the playoffs last season. The Florida Panthers could be a threat, but in all likelihood will be a rung under the division’s expected tougher teams like the Habs, Ottawa Senators, Detroit Red Wings, and, of course, Stanley Cup-finalist Tampa Bay Lightning. The Lightning clearly represent Montreal’s biggest competition for the division crown, with the Habs going winless against Tampa last season (0-4-1). As embarrassing as that season sweep was at times, it’s not as if Tampa has completely dominated the Habs in the recent past. In fact, in the first round of the 2014 playoffs, it was Montreal that swept Tampa. And, these past playoffs, the Habs got the monkey off their back by giving the Lightning all sorts of headaches in their second-round series after falling behind three games to none, eventually losing in six. Needless to say, Tampa having Montreal’s number is a huge misconception at best. However, for the sake of argument, let’s say the Lightning do. Even in such an instance, can the Lightning really count on another season sweep? Would it even make that much of a difference, seeing as A) the Habs still won the division last season, despite dropping every single game? And B) there’s one less fewer game between the teams this coming season? Realistically speaking, the Habs should win at least one or two of those four head-to-head matchups, especially seeing as Montreal has drastically improved this offseason. The Lightning, meanwhile? Yeah, they acquired Erik Condra and Tye McGinn—Jamie McGinn’s less successful younger brother. Essentially, the Lightning, fresh off a Stanley Cup Final appearance stayed complacent. And that’s not necessarily a bad move, all things considered. If you have a winning formula, it’s a very viable strategy to stick with it. 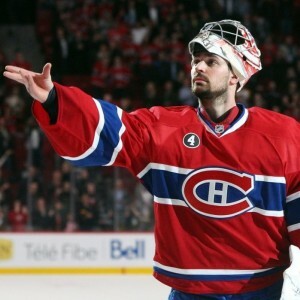 However, what often gets forgotten is the Habs have one as well. And their winning formula? He was injured during the playoffs and still posted a .920 save percentage.